My name is Nate Mell and I’m a ceramicist. I live in Fishtown with a Labradoodle named Rufus. I went to Tyler School of Art where I studied glass work. After graduating I worked in food service at a few restaurants in Philly for about 8 years, while also working on ceramics out of a few small studios in Fishtown. I started working on ceramics more deliberately with my business partner Wynn, when the owners of Fork (where I worked at the time) commissioned me to design and make the table-ware and ceramics for their new restaurant High St. on Market. Wynn and I have been making ceramics ever since. Q: Tell us about Felt + Fat. A: We are a collaborative design and manufacturing studio specializing in ceramics. Both Wynn and I have backgrounds in creative art and functional ceramics which sets the foundation for our work. Our business is growing, we’ve begun delving in to the world of international shipping recently and are putting more energy in to our direct-to-consumer sales through our web shop. North America has seen a decline in ceramics manufacturers over the past century or so, but we are seeing increased interest in things that are hand-made and custom-made, restaurants and food. The confluence of these things is creating a resurgence in contemporary design and a great opportunity for ceramics. Q: What led you to MaKen? 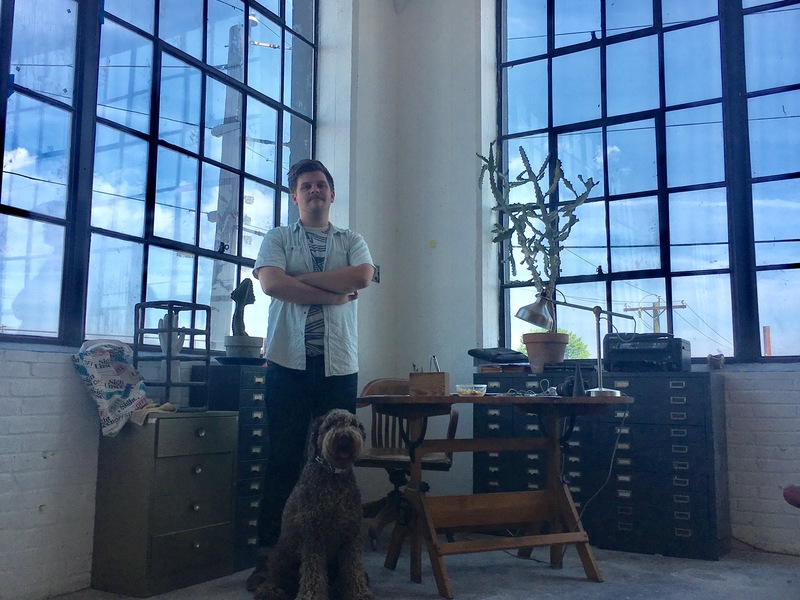 A: I actually worked temporarily out of a small corner studio in the JoMar building (now MaKen North) in 2013 when my then studio in Fishtown absorbed some water damage and I was in a pinch for a place to set up shop. That was how I met Brian and Matthew. I held studio space after that in a few other makerspaces in Fishtown and Port Richmond. As our need for space grew we circled back with Brian and Matthew about MaKen’s availability and it turned out to be perfect timing. We’ve been having a few conversations recently about moving to an even bigger space. Q: Where do you see Felt + Fat in 5-10 years? A: The time is right for creating something special and lasting. In the next 5-10 years we are hoping to employ 50 plus people, embrace the opportunity to scale our collaborative partnerships and direct-to-consumer sales, and potentially open a storefront.